Perfectly located just opposite the beach in the heart of the city's centre, this intimate hotel offers complimentary parking and Free WiFi. The hotel has 71 comfortable rooms all with cable TV, individually controlled air conditioniong and tea/coffee making facilities. Some rooms have sea views. The complimentary breakfast is served in the hotel's elegant dining area. Guests can also enjoy a drink in the spacious lobby while admiring the view of Hayarkon Street and the sea. The hotel staff offers good and personalised service and can assist travellers with tour bookings. Limited on-site parking is available free of charge, and free WiFi is available in the guest rooms. 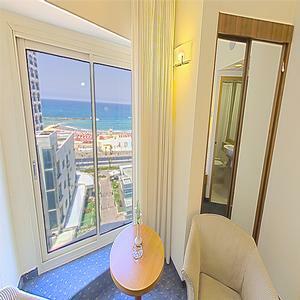 In the heart of Tel Aviv's city centre, overlooking the beach. 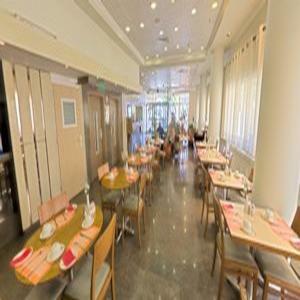 The hotel is perfectly located in the middle of the famous hotel strip and close to shops, cafes and restaurants. Limited in-house parking is offered free of charge. Public transport is also located at the footstep of the hotel. 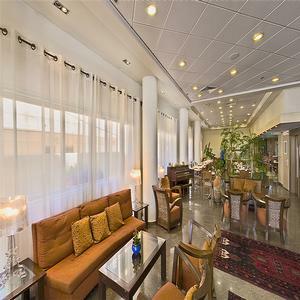 "This hotel was a big discovery in Tel Aviv. 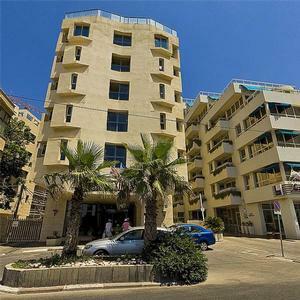 The atmosphere is very nice and quiet and location ..."